A total of 12 stocks touched a new 52-week low on the NSE are Birla Cotsyn (India), Canara Bank, Gujarat Fluorochemicals Limited, OCL Iron and Steel Limited, Orient Cement Limited, Punjab National Bank, Selan Exploration Technology Limited, Shrenuj & Company Limited, Software Technology Group International Limited, Usha Martin Limited, Visesh Infotecnics. The BSE Sensex opened at 25,981, touched an intra-day high of 26,148 and low of 25,941. It finally ended with a gain of 158 points at 26,118. The NSE Nifty opened at 7,898 hitting a high of 7,956 and low of 7,733, before ending with a gain of 50 points at 7,946. 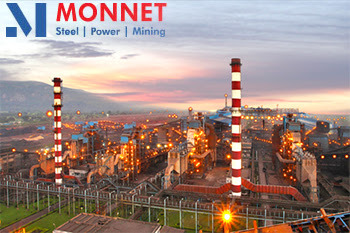 Shares of Monnet Ispat and Energy Ltd closed higher by 4% to Rs.35.95 ahead of its board meeting. The board will consider and approve the conversion of loan into equity shares pursuant to invocation of SDR scheme by joint lenders forum and conversion of loan into equity shares in terms of decision of joint lenders forum as a part of corrective action plan. The scrip opened at Rs. 36 and touched a high and low of Rs. 36.95 and Rs. 35.05 respectively. A total of 1719783(NSE+BSE) shares were traded on the counter. The current market cap of the company is Rs. 222.83 crore. The BSE group 'B' stock of face value Rs. 10 touched a 52 week high of Rs. 74.6 on 10-Mar-2015 and a 52 week low of Rs. 26 on 25-Aug-2015. Last one week high and low of the scrip stood at Rs. 35 and Rs. 33.35 respectively. The promoters holding in the company stood at 48.59 % while Institutions and Non-Institutions held 21.61 % and 29.8 % respectively. 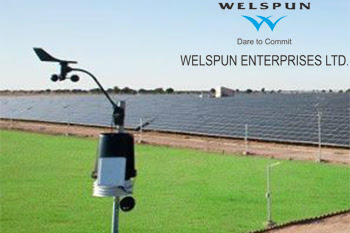 Welspun Enterprises Ltd stock ended 5% higher at Rs.64 after the company was awarded with Package I of the Delhi-Meerut expressway project to be developed through the hybrid annuity model by the National Highways Authority of India (NHAI). The scrip opened at Rs. 63 and touched a high and low of Rs. 65.5 and Rs. 62.55 respectively. A total of 1190638(NSE+BSE) shares were traded on the counter. The current market cap of the company is Rs. 1058.99 crore. The BSE group 'B' stock of face value Rs. 10 touched a 52 week high of Rs. 79.1 on 05-Aug-2015 and a 52 week low of Rs. 24.6 on 21-Jan-2015. Last one week high and low of the scrip stood at Rs. 63 and Rs. 56.45 respectively. The promoters holding in the company stood at 37.56 % while Institutions and Non-Institutions held 17.13 % and 37.34 % respectively. Shares of Orchid Pharma closed the day 9.91% higher at Rs. 64.90 on BSE after the company received the Establishment Inspection Report (EIR) from USFDA. The scrip opened higher at Rs. 59.35 as against its previous close of Rs. 59.05. It hit a high and a low of Rs. 67.50 and Rs. 57.60 respectively. Total 9.34 lk shares changed hands on BSE. The company informed BSE that it received the EIR from USFDA based on the successful inspection closure for the formulation manufacturing facility located at Irungattukottai, Sriperumbudur, Kancheepuram District, India. The facility was inspected by USFDA in the month of May 2015. Grovy India has reported a standalone total income from operations of Rs 0.10 crore and a net profit of Rs 0.07 crore for the quarter ended Sep '15. Other income for the quarter was Rs 0.10 crore. 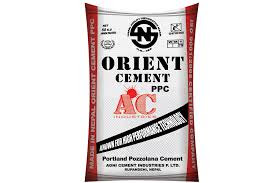 For the quarter ended Sep 2014 the standalone total income from operations was Rs 0.04 crore and net profit was Rs 0.01 crore, and other income Rs 0.04 crore. Grovy India shares closed at 10.00 on December 29, 2015 (BSE). The promoters of JMT Auto Ltd,part of the troubled Amtek Group have pledged 71.73% of the company’s shares to IL&FS Trust Co. Ltd, according to reports. Report says that as per the shareholding pattern disclosed by the company on 15 October, the promoter group held 71.73% in JMT Auto. The Amtek Auto group has been under stress due to an increase in debt obligations. In September, the company failed to repay Rs.800 crore worth of bonds. 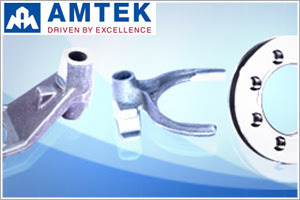 Amtek Auto Ltd ended at Rs. 49.95, down by Rs. 1.2 or 2.35% from its previous closing of Rs. 51.15 on the BSE. The scrip opened at Rs. 51 and touched a high and low of Rs. 51.5 and Rs. 49.5 respectively. A total of 3202038(NSE+BSE) shares were traded on the counter. The current market cap of the company is Rs. 1122.65 crore. The BSE group 'A' stock of face value Rs. 2 touched a 52 week high of Rs. 186.95 on 05-Jan-2015 and a 52 week low of Rs. 25.6 on 04-Sep-2015. Last one week high and low of the scrip stood at Rs. 54.1 and Rs. 49.5 respectively. The promoters holding in the company stood at 49.99 % while Institutions and Non-Institutions held 20.93 % and 29.08 % respectively.